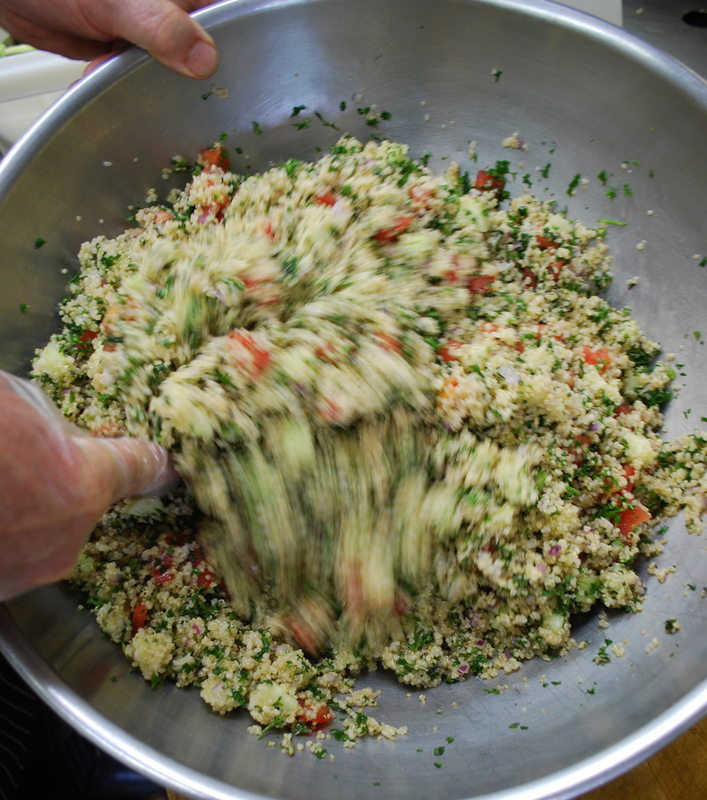 The change of seasons always brings the excitement of new seasonal menu items and here at Bistro-to-Go we’ve started making Quinoa Tabouli again – much to the delight of our customers. 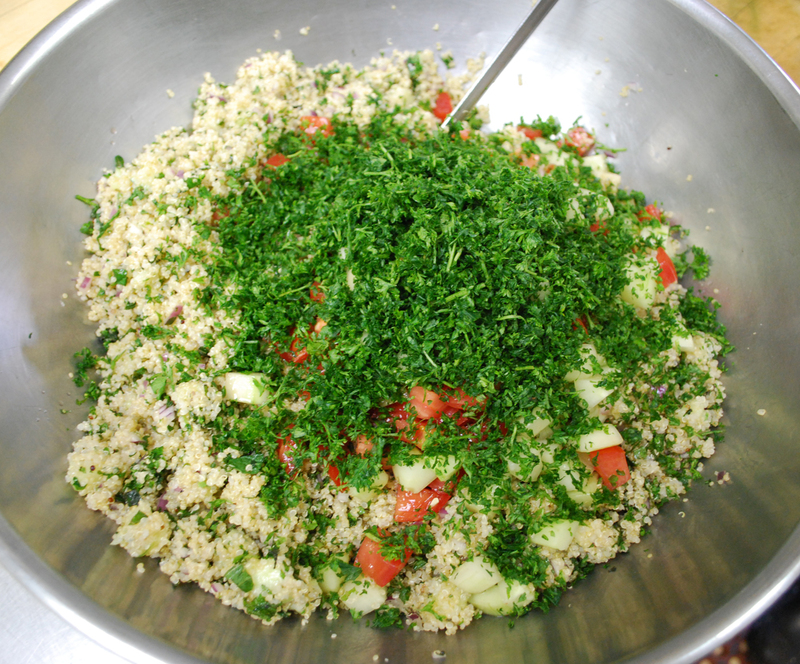 Traditionally tabouli (or “tabbouleh”) comes from the Middle East and Mediterranean regions and is made with bulgar wheat, parsley, scallions, mint, tomato, onion, lemon juice and oliv e oil. We chose to make ours with quinoa for a number of reasons, the first being that it’s delicious, light and very nutritious. Quinoa originated and is primarily grown in the Andes and has a very high protein content (12%–18%), making it a healthy choice for vegetarians. Unlike wheat or rice (which are low in lysine), quinoa contains a balanced set of essential amino acids making it an unusually complete protein source. 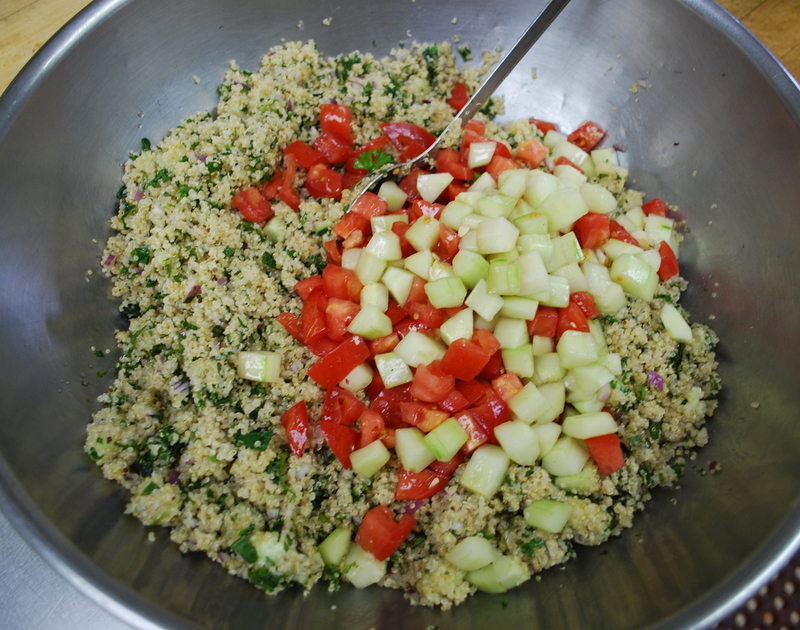 Another big reason we’ve adopted and love quinoa is that it’s gluten free and a perfect fit for the clean and healthy foods we offer. All of this would mean nothing if it didn’t taste good! I usually side with tradition and history but in this case I truly think that quinoa tastes better and makes a better version of tabouli than the original made with wh eat. Try some and judge for yourself. 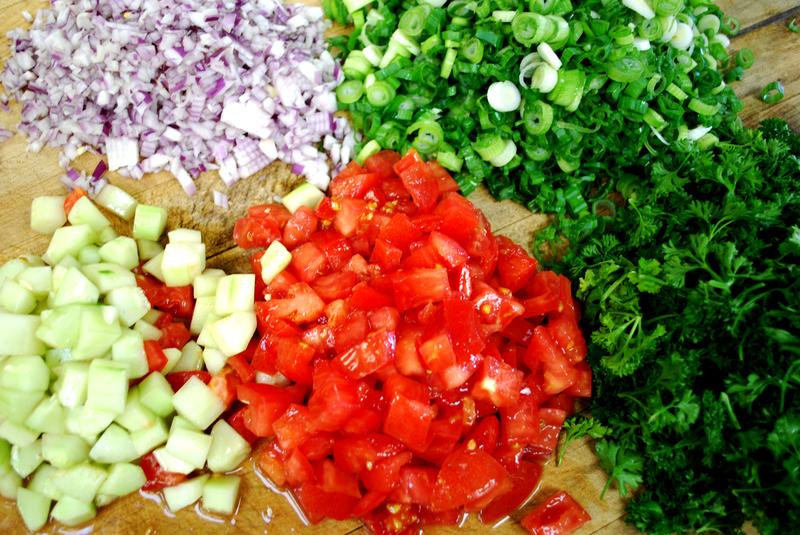 Just remember, true tabouli is bright green with lots and lots of parsley, mint and scallions.